The Wisconsin Historical Society preserves a detailed record of American politics. 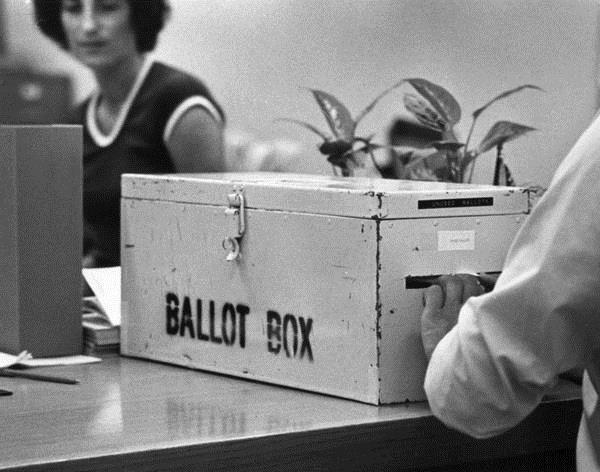 Photographs and documents capture protests, candidates seeking votes, major political issues, and average citizens exercising their right to vote. Collections from the State Archives and historical records of groups and individuals document political parties and the ideas of politicians and political movements. Library materials contain books and articles about the American political experience. The links below will take you to pictures and posters from our image collections.